Posted on 26, May 2016 by EuropaWire PR Editors | This entry was posted in Construction, Infrastructure & Utilities, Italy and tagged ETHIOPIA, hydroelectric plant in the Koysha area, Salini Impregilo. Bookmark the permalink. MILAN, 26-May-2016 — /EuropaWire/ — Salini Impregilo continues to be a partner in development for Ethiopia as it will build a new hydroelectric plant in the Koysha area. The new megaproject is worth €2.5 billion and will have an installed capacity of 2,200 MW. The client is the Ethiopian Electric Power (EEP). The project includes a 170 metre high rolled compacted concrete (RCC) dam; the reservoir volume is 6000 million cubic metres. The hydroelectric plant will annually produce 6,460 GWh. 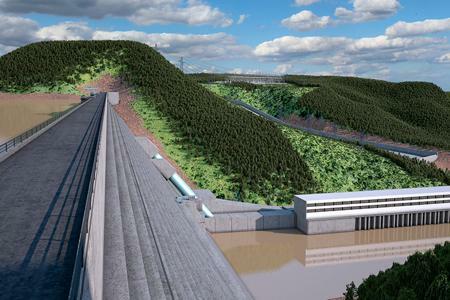 This new important project together with GIBE III, which went into operation recently and GERD (the Grand Renaissance Dam) on the Blue Nile will enable Ethiopia to become Africa’s leader in terms of energy production. The Country has been rapidly growing for many years now, and will soon become the driving force of the African continent. The large infrastructure projects that have characterized the past few years do not only sustain growth, but also contribute to achieving the goal of transforming Ethiopia into Africa’s energy hub. As of today, Ethiopia exports energy in Kenya, Sudan and Djibouti, its closest countries. The authorities do not exclude reaching markets like Europe and the Middle East in view of the potential of the hydroelectric plants being built.